Decorating an outdoor space can be a daunting process. A well placed teak bench or set of teak benches will enhance the natural beauty of your garden and provide additional functionality to your indoor or outdoor furniture setting. Our teak benches are designed with style, comfort & durability in mind. 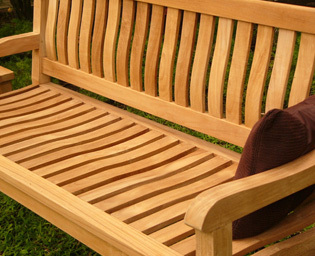 Without maintenance, your teak garden benches will only gain character with age and last you decades of enjoyment.